As a leading grower and distributor of Christmas Trees, we take pride in offering the best quality and price for our prized trees. We are dedicated to serving the needs of our customers each and every day. 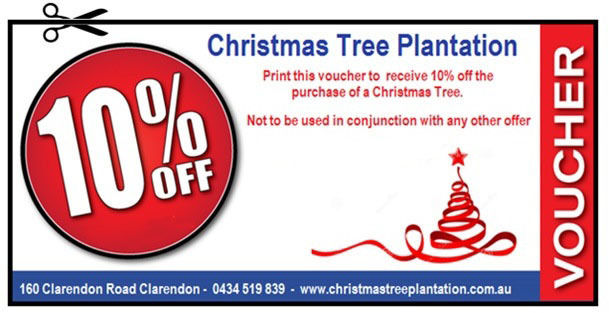 The Christmas Tree Plantation has been around since 1970 and was one of the first Christmas Trees Plantations in Adelaide. We are located approximately 12km from Blackwood on the Main Road into Clarendon. Our plantation is at 160 Clarendon Road Clarendon (Lot 16). Stay on Main Road from Blackwood and keep driving through Coromandel Valley up through to Chandlers Hill and towards Clarendon. On the way you will also drive past the Christmas Tree Farm but try us first for the best deal. We are about 2km further on!